The Homescan program is a unique opportunity to get rewarded for making everyday purchases – whether buying groceries, small appliances, clothing, magazines – almost everything you buy that has a UPC code may be scanned. Join the program and receive a free scanner to scan your purchases as you buy them, and earn a great selection of rewards for doing so. Alternatively, after joining the program, you can download the Homescan app and use your phone to scan items. Some members find this easier, as they can also check their account balance, etc., right from their phone. After you scan your purchases and the information is electronically transferred to Nielsen, points are automatically awarded to your account. These points can then be redeemed for a huge selection of items from the Nielsen Homescan gift catalogue including electronics, jewelry, toys, household items, and more. Once a member receives their handheld home scanner, they are able to use the scanner at any time of day convenient to them. Members are able to scan almost any item they have purchased and can do so from the privacy of their own home. The more a member shops and scans, the greater number of points they are eligible to earn. Members automatically earn entries into monthly cash sweepstakes and are sent free gifts simply for engaging in the homescan process. Nielsen Homescan also ships the scanner for free and includes a prepaid return envelope so members are never charged for shipping. A regular landline telephone or Internet connection is all that is needed to transmit barcode information back to Nielsen Homescan. All information collected using the device is anonymized and aggregated to ensure participants’ privacy. Nielsen Homescan is owned by the Nielsen Company, the world’s leading marketing and media information company. The Nielsen Company has been analyzing purchase behaviours and consumer opinions in Canada since 1944. Nielsen is a global company that provides marketing information services in over 100 countries, and are often quoted in the local media. 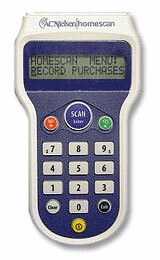 They established the Homescan Consumer Panel in Canada in 1994 and now have over 12,000 members tracking their purchases and influencing tomorrow’s products. To become a member of the Nielsen Homescan Consumer Panel, simply complete the online registration form. Once you are selected to join the panel you are sent a free Nielsen panel scanner. 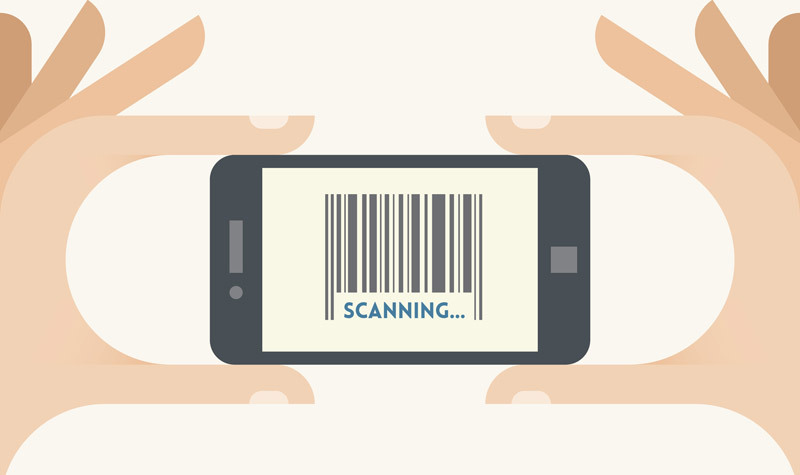 After completing your normal household shopping, you scan the barcode of each item with your handheld scanner. For example, you can easily scan your groceries as you put them away. Then once a week the scanner automatically transmits this information electronically to Nielsen Homescan via landline or the Internet. The company then compiles your information with data received from other scanners and anonymously submits this information to manufacturers.